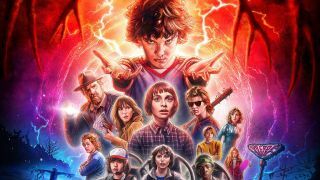 Update #1: Netflix has reached out to confirm the existence of the Stranger Things project that will be produced by Telltale Games and has confirmed that it'll be separate from the experiential streaming service content we reported on earlier. Update #2: Telltale has issued the following statement about the upcoming Stranger Things game - “We're delighted by the response we're seeing to the idea of Minecraft: Story Mode coming to Netflix in the fall as an interactive adventure, and separately, we're thrilled to confirm that Telltale is developing a game based on Stranger Things that we'll publish to consoles and computers at a later date. Our partnership with Netflix is something we're incredibly proud of, and while we don't have anything more to share right now, we're excited to reveal details on these projects later in the year." Our partnership with Netflix is something we're incredibly proud of, and while we don't have anything more to share right now, we're excited to reveal details on these projects later in the year. After we reported on a deal between Telltale Games and Netflix to bring an adapted version of Minecraft: Story Mode to the streaming service, we can now confirm the existence of a separate deal that will bring the world of the Upside Down to Telltale's game platform. Telltale's licensing acquisition appears similar in nature to the one the development studio made with HBO back in 2014 when it developed a companion game for HBO's Game of Thrones - which means you might see some of the same characters from the show starring alongside new ones created in-house at Telltale. An important distinction between Telltale's game set in the Stranger Things universe and the news we reported on earlier today about Minecraft: Story Mode coming to Netflix is that the former won't be an interactive experience on Netflix and would instead be built internally by Telltale for traditional game platforms. We've reached out to Telltale and Netflix for a comment on the story and will report back here when we hear back from them.